I’d never been to one of the several vegan degustation nights held by A Fan’s Notes. They’ve always drawn rave reviews. So when an end of days post appeared on social media saying they were doing the final one, I had to go. It turns out that it was the last one for the year, not forever, which I am glad about, because it was great and I’d love to go back to another. The dinner consisted of five small courses, which turned out to be a perfect amount of food, and it was well priced at $50 for food of such quality. 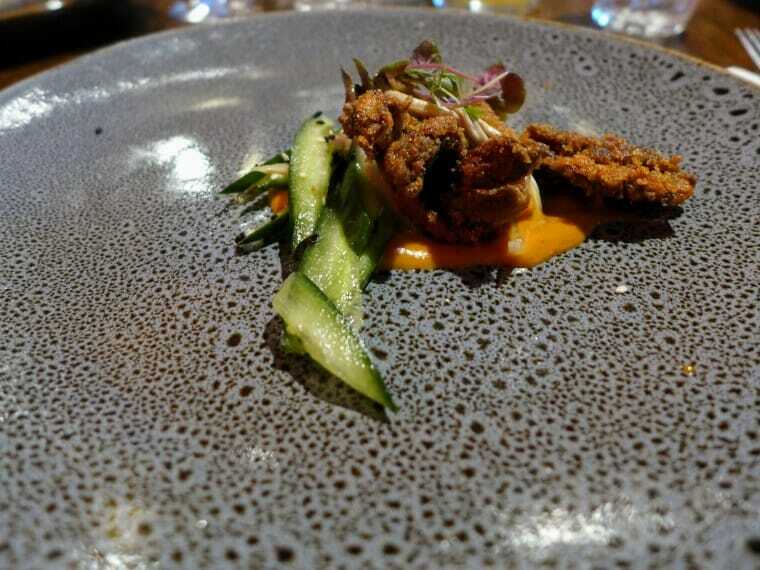 The first course was cornflake crumbed oyster mushrooms, with a fermented chilli mayo and pickled shimeji mushrooms and cucumbers. Swoon. 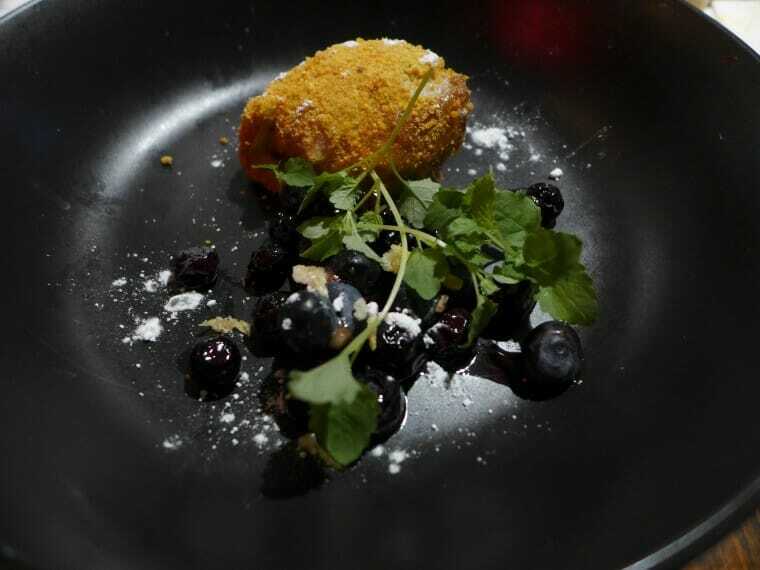 A lovely combination of flavours and textures and a great start. 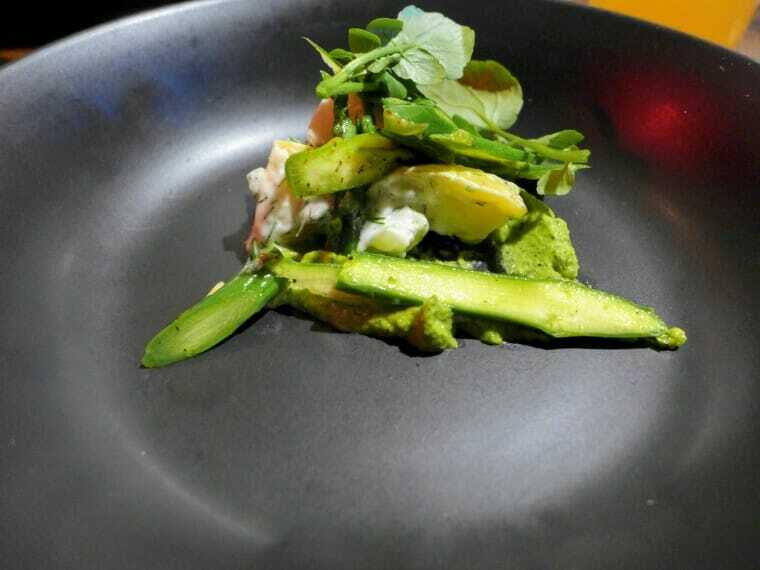 Next up was a pickled potato salad with watercress, horseradish, avocado and asparagus. This was great and my favourite dish of the night. That is saying something because they were all candidates for top, and all hard to fault. 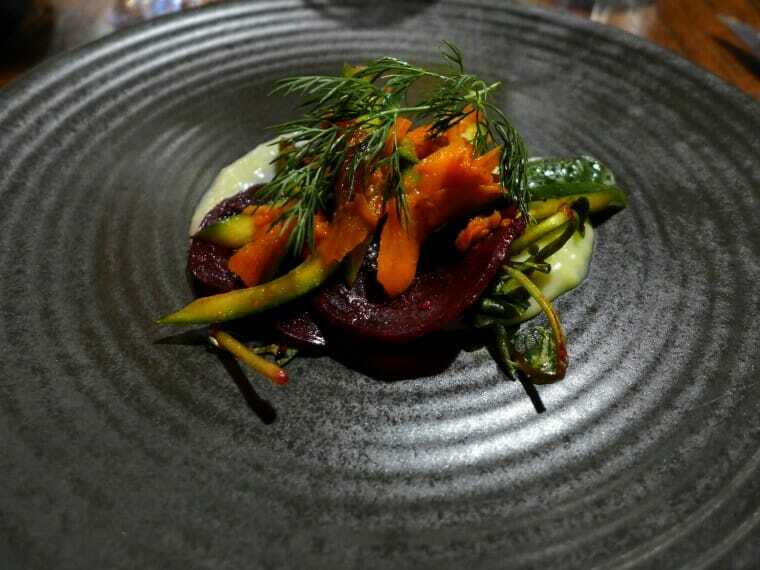 The third course was a beetroot pastrami, potato purée, red peppers, cucumber and dill. It was deliciously smoked and was a candidate for my favourite but it was just beaten by the potato salad above. Fourth was a okra and red bean gumbo with burnt eggplant, crispy rice ball and jalapeño cream. 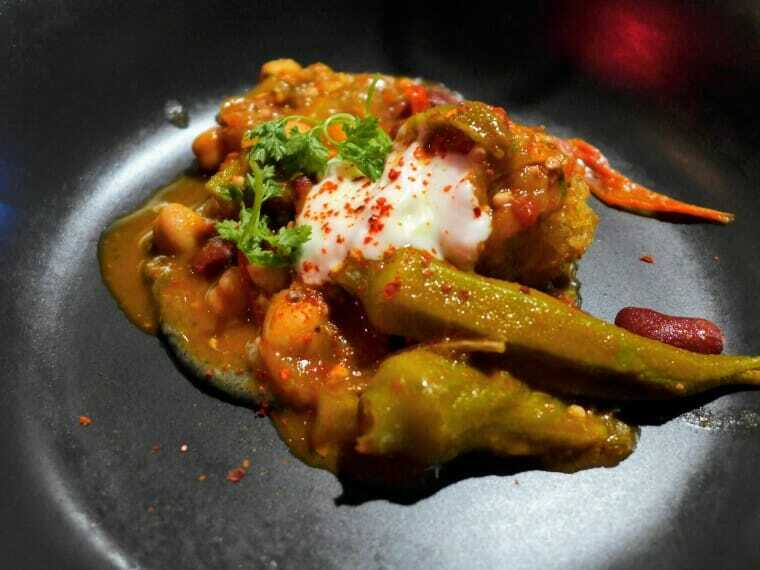 I’m not normally a big okra fan but this was great and the crispy rice just made it special. Lastly we had a pumpkin biscotti crumbed earl grey cheesecake with blueberries and candied lemon. A perfect finish to the meal. The venue is odd, it has some of the hallmarks of a grungy bar and the black curtains blocking the windows don’t exactly invite you in, but you should go. It is serving absolutely sensational food. In addition to the degustation we had, there were some fabulous looking vegan burgers off the regular menu going past us to other tables. It isn’t totally vegan but they certainly know how to do great vegan food. I’ll certainly go back.